Halo really grabbed me back in 2001. 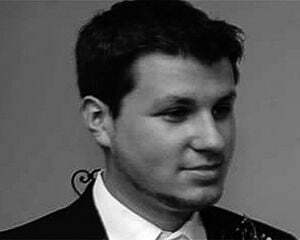 I had just won an Xbox from a Taco Bell contest (no joke), and I was getting ready to sell it when a friend told me about a little old sci-fi shooter from Bungie. After playing Halo at a demo kiosk at EB Games, I came back home and immediately unpacked my Xbox. From there, my enthusiasm was infectious. I used my network engineering class to forge a 50-foot Ethernet cable, and my group of friends proceeded to play Halo for months on end nearly every weekend across two consoles. Over the years, my love for Halo waned. Not only did the campaigns cease to grab me as time went on, but a lot of my fireteam companions have moved away, and I've had to play with them online instead. Halo 5: Guardians hasn't done a whole lot to pull me back in, but those of you who are still content with Master Chief and his wacky adventures across the galaxy will likely walk away satisfied. While Guardians may have a no-nonsense intro that places you immediately into the fray, it already assumes that you know a ton of the franchise's backstory. There's so much lore at this point, spanning comics, web series, and other shows, that it's hard to keep up. The basic gist this time around is Master Chief is missing, Jameson Locke is sent to find him, and the Forerunners are still the big bad of the franchise. Everything else in-between is kind of a blur. The campaign features 15 missions in all, and is heavily built around the concept of fireteams -- which means you'll have three other characters following you around at all times, ready to take orders by way of AI constructs, or as player characters. If you're going the solo route, you can order your team to move to certain locations, or attack specific targets. It's rudimentary at best, as the only command you have is a single d-pad stroke that does either of those two options, but it's very cool to see your team banter and blow enemies away by your side. Your teammates can also revive you if you're down (though there are still insta-kill mechanics and pitfall deaths), getting you back into the action faster. Halo 5 features linear, more Call of Duty-style levels, with the occasional miniature sandbox or mid-sized arenas distractions. What I like about the campaign mechanically is it's always forcing you to switch weapons (between the human, Covenant, and Forerunner variety), which constantly puts you out of your comfort zone. There are a ton of weapons in the franchise at this point, and it feels like 343 didn't skimp out or remove any -- so you expect somewhat of a learning curve. When it comes to the campaign though, nothing blew me away outside of a few select missions. The first five are table-setting affairs, as it stands, but even after you progress through those, the narrative never really goes anywhere. The story is rather annoying in a way, as it relies heavily on past games to a fault. I really enjoyed the original tale of Halo: Combat Evolved, with the simplistic story of the conflict between Covenant and humans, with the Flood in the middle, but this "new" trilogy isn't really doing it for me. Sure, the action is spot-on, but the Forerunners aren't a compelling enemy, as far too much of their history is billed with mystique, and I couldn't be bothered to care about any of the cast members outside of a light amount of nostalgia for Chief. I also had a few technical issues during my playthrough. There were some weird instances where progression didn't trigger and a door didn't open because there was an enemy stuck in a far corner somewhere. Also, on a few occasions my team didn't revive me even though they were right there, or outright refused to move or take orders. Guardians features drop-in drop-out multiplayer, which is great because the four-person campaign component never feels forced, but the lack of split-screen is an utter shame. For reference, it took me roughly six hours to finish the story on the standard difficulty setting. How does it play? So well that you'll often forget about how mediocre the campaign is. The gameplay has changed significantly, mostly due to new mobility options and the power to aim down the sights of your gun (also known as ADS or Iron Sights). Players can also press a button to boost, which works both on land and in the air, and hold the melee button to slam down to the ground, or press it while running to trigger a dash attack. It feels like a quicker, hybrid arena shooter now with all these changes. 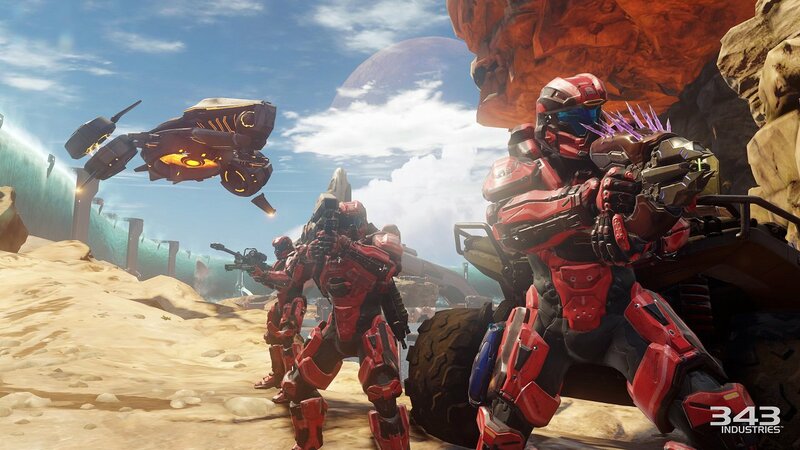 Warzone, however, is leaps and bounds more fun than the story. It's billed as a 12v12 mode that features a massive base tug-of-war, with enemy AI meddling on the side. In short, it feels like a bite-sized story mixed with multiplayer, and accomplishes most of the goals it sets out to achieve. For example, at the start of a match, you'll have to clear out your own base -- there's no downtime involved. 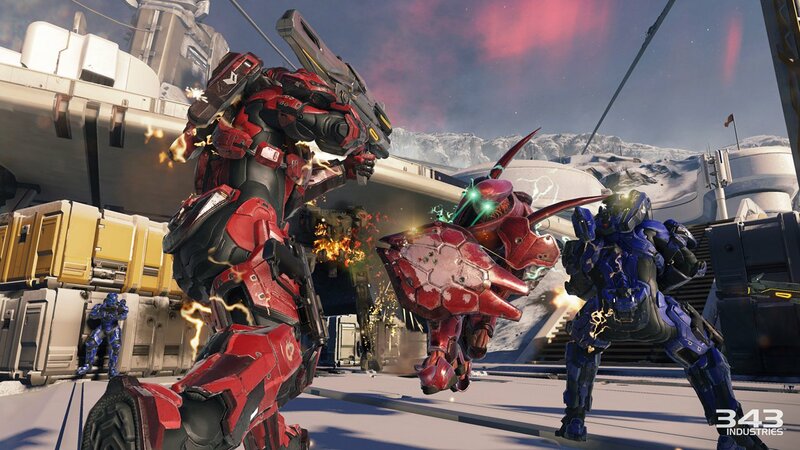 From there, Warzone constantly throws things at you, from sub-objectives to boss fights, with plenty of PVP action injected for good measure. 12v12 is by no means a massive amount of players, but it gets the job done, especially when coupled with the aforementioned PVE mechanics. There's always something to do, and always players to kill. The large map size also brings something to Halo that really hasn't been done before, as they're roughly three times bigger than past locations in the series. Because of my time with Warzone, I've felt inspired to find a group of people to play with down the line. I think this mode has potential for some really memorable matches. There's a straight non-AI variation available as well, if you prefer that. So that's Warzone. On the other end of Halo 5's PVP component, you have Arena -- traditional deathmatch game-types across a handful of different modes. 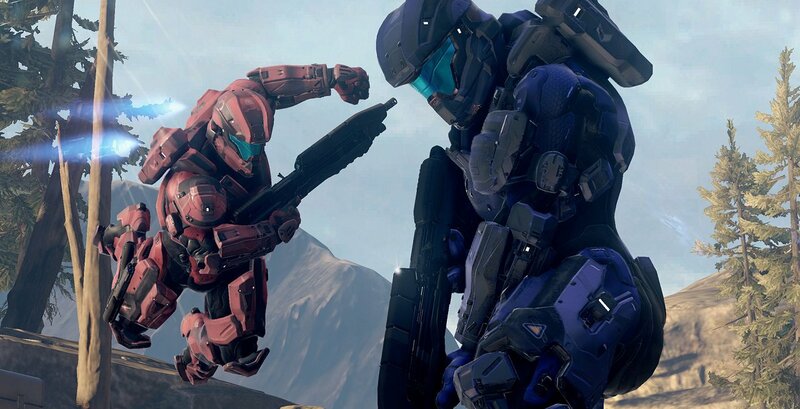 There's Team Arena (with CTF, deathmatch, and Stronghold variants), Slayer (FFA), Breakout (one life), free-for-all, and the classic SWAT mode (no shields, no radar), with promises of more playlists post launch. You can also create custom games online if you wish, with specific rule sets. Once you acclimate to ADS, it's basically the same Halo you've played many times before, for better or worse. The levels in Guardians are decently balanced, though. There's 15 at launch, and the pool is admirable, consisting of several different locations and layouts. "Plaza" is one of my standout favorites, as it's an entropic map that's vertically inclined, and both stylish and practical. There isn't one map that I've groaned at (outside of the Midship remake, which is a good arena, but one I've played constantly for over a decade), and if I was ever bored of the small to mid-sized layouts, I just went back to Warzone. As for the multiplayer experience as a whole, there's a strong emphasis on dedicated servers, which the game prominently informs you it's using during every matchmaking sequence. It's been smooth sailing so far, but if there's any changes we'll provide an update after launch. This doesn't factor into the review, but all Halo 5: Guardians maps (15 planned so far) will also be provided for free, presumably due to the sustainable funds generated from the microtransactions. Additionally, Forge mode will be released sometime in December. So how about those "REQ" microtransactions? They're pretty painless, actually. While they provide power-ups, such as single-use vehicles or weapons for Warzone play, they're entirely optional in Arena, and provide cosmetic upgrades (skins, and animations) or experience boosts -- think Mass Effect 3. You can basically choose to ignore the system entirely and still excel, or slowly accrue in-game currency to buy them. Either way, it doesn't really impact the experience as a whole. If it weren't for Warzone, Halo 5: Guardians would probably be somewhere on the lower end of the franchise spectrum for me. It's still a fantastic and well-oiled machine, but the story falls flat, and the shift in gameplay mechanics result in the loss of some elements that made the series so unique in the first place. Still, if you're looking to shoot some dudes online, Guardians is your huckleberry.